In the recent years, a genuinely good thing has happened in the body of Messiah. Many believers have begun to take the lesser taught sections of His word seriously, and search them out in light of the things taking place in the world now. Since we can sadly track the degradation of church leadership, it’s encouraging when there’s a revival of basic biblical study. This has led many Christians to take a second look at obscure prophecies and records like 1 Enoch, Jubilees and certain long overlooked passages in the canon. Multitudes now understand what nephilim are and where they came from. I’ve been waiting for the backlash though… Satan never lets a genuinely good thing slide by without having a stab at it. As often happens when some piece of information comes to light on a growing scale, there come those who set themselves center stage to address the issue and become the loud voices of “authority” on the matter. The subject of modern nephilim has attracted its own center-stagers… their foremost claimed purpose being to minister to victims of alien abduction and SRA (Satanic Ritual Abuse). I can’t possibly speculate on the true intentions of those who have taken on this… YHWH knows them, but I have serious concerns with the results. I also won’t bother to name the sources of what I’ve read. They aren’t difficult sources to find on the internet, and most likely anyone really wanting to know could find out – I just have a personal hesitation to sling names. Aside from this, the big sources I have found backing the opinions I’ll address almost certainly are followed by many lesser known personalities who have adopted the view point. Are there people of nephilim descent alive on earth currently? Yes. I’d find it difficult to not call the alternative impossible by looking at the Bible alone for evidence. Scripture pointedly calls the inhabitants of the Promised Land at the time of Israel’s arrival “nephilim”. They were not all eradicated. What else could happen but that they absorbed into the world population? Is there a current resurgence of fallen angels procreating in some fashion with human women? The evidence says yes. The testimony of countless victims of abduction scenarios, black op programs and SRA, coupled with more than one plainly stated Biblical prophecy concerning just this situation in the end times, must reasonably be weightier than the academic speculation of those who deny it. Is there salvation possible for those of nephilim descent? This stand on the subject (particularly in combination) seems to be a pretty unpopular one. The loud voices in the arena have uniformly taken positions which do not have to deal with extending unsavory notions of salvation to “abominations”… nor having to face any individual with a message of unavoidable condemnation. The first idea is contradictory to human nature… the second idea is contradictory to Christianity. There seems to be a fence that’s being ridden to death in this matter. The loudest voice out there has what is termed a “Ministry” that is set forth as one offering a message of hope to those who have claimed to be nephilim, or descended from such. This outreach counsels those who have testimony of abduction experiences, women who have claimed to have been impregnated by fallen angels, etc. At first glance, it appears like something its not. The message is emblazoned across the site boldly proclaiming salvation for these people. Prepare to be confused if you keep reading the site though… finally it declares that no such things exist. The same group which is behind the above mentioned site, has as its explanation for the testimony of abductions a completely fabricated “vision” given to abductees. A vision given to the end that the combined effort of smoke and mirrors will result in people who are either 1. rejecting of those they believe are nephilim or 2. people who believe they have no chance of redemption because they are nephilim. There is no effort made to provide better evidence for this view at all. It’s simply stated as a “belief”. Beliefs, I’ve come to realize, are worthless things to have. I don’t think Christians “believe” in a Creator, We Know there is One. We have good evidence of it in our own experience. A belief is a whim without evidence, something that just “sounds right”. On the other hand, there are these individuals who have experienced things first hand, things which are incredibly difficult for them to bring to public light, especially when it is wrapped around concerns of their own salvation. As I see it, no one who has no first hand evidence of their own needs to add their speculation to the scales when the evidence is weighed. There have been plenty of rebuttals which have come forth from various sources addressed to those who put forth the above site and theories. These generally take seriously the claims of abductees and SRA victims (which is good). They do believe there is a current resurgence in the admixture of fallen angel and human, though they do not seem to want to approach the issue of an ongoing lineage of such in the world. There’s a good reason for this… so far I have not seen a single source argue that there is a salvation option for any existing hybrids. If any of these sources were to maintain that position in light of the possibility of actually meeting any… that would certainly put them in a rough spot. There’s probably little hope for the ministry who would condemn a person because they believed them to be hybrid. One source neatly covered the issue by simply stating that hybrids do exist – But if a person was even interested in coming to salvation… that Must mean they are not hybrid. That, again, stands on speculation. Is there some way this person could possibly know the ability of anyone but himself to want salvation? Even the fallen Watchers pleaded with Enoch to petition YHWH on their behalves. What would make every single nephil uninterested in reconciliation to the Creator? It’s a big Pink Elephant. There are uncomfortable ideas in all of this and people really don’t like to address uncomfortable ideas. Generally an “us and them” mentality feels best to human nature. If there’s no “them”, people tend to feel there’s less to esteem about “us”. It’s having to face the blackness of our own individual sins that makes it uncomfortable to put “them”on equal footing in some way. It’s more a comfort to tiptoe around some glaring evidence, to deny a necessity to address some point by simply speculating it out of existence. If someone out there Really wants to be a ministry to help these people, it’s going to mean facing the elephant, regardless of what it looks like to the popular mind set. As you saw iron mixed with ceramic clay, they will mingle with the seed of men but they will not adhere to one another, just as iron does not mix with clay. And in the days of these kings ‘Eloah of the sky will set up a kingdom that shall never be destroyed and the kingdom shall not be left to other people. It shall break in pieces and consume all these kingdoms and it shall stand forever. YHWH whom we know to have been manifested in the Person of Yahushua the Messiah according to the scripture is true Elohim. It is our first and primary goal to love and serve Him. Everyone who is called by My Name, And whom I have created for My glory, Whom I have formed, even whom I have made. For by Him all things were created, both in the heavens and on earth, visible and invisible, whether thrones or dominions or rulers or authorities — all things have been created through Him and for Him. We are created for Elohim’s Glory. We are created through Him and for Him. When we serve our King we are in sync with our ultimate purpose. This isn’t to say He doesn’t enjoy taking care of His children, or making us happy. If even evil men treat their kids good (in some cases) how much more will our perfect Heavenly Father treat us? Let’s face it we are created for Him but there is nothing we can really do for Him. What can a man give to Elohim, who is the source of all good gifts? The scripture quotes Elohim, and He tells us what we can do. For I was hungry, and you gave Me something to eat. Naked, and you clothed Me. I was in prison, and you came to Me. Then the righteous will answer Him Master, when did we see You hungry, and feed You, or thirsty, and give You something to drink? And when did we see You a stranger, and invite You in, or naked, and clothe You? Truly I say to you, to the extent that you did it to one of these brothers of Mine, even the least of them, you did it to Me. So the answer is to help the poor, and have mercy on those less fortunate than us. Our goal is to ease the burden of the poor. Also to do what we can to make life better for our fellow man in general. And He said to him, You shall love YHWH your Elohim with all your heart, and with all your soul, and with all your mind. This is the great and foremost commandment. The second is like it, You shall love your neighbor as yourself. Stemming from a love for our Elohim YHWH we have a desire to follow His commandments. We desire this because we want to express our love for The Creator. We have discovered by study of the scripture that to exhibit our love for Him we are to follow His commandments. Spread the message of the bible to anyone who will hear and come to believe upon their Creator and have a desire to serve Him in these times. This includes a desire also to serve and love our fellow Christian brothers and sisters of course. We should steady educate ourselves and gain enlightenment to be further equipped to serve YHWH and humanity. In order for one to gain true understanding and wisdom one must have fear of YHWH. This is the beginning of wisdom. The fear of YHWH is the beginning of wisdom. A good understanding have all those who do His commandments; His praise endures forever. The fear of YHWH is the beginning of wisdom, And the knowledge of the Holy One is understanding. The first step to fearing Elohim is to know that he exists. Our faith is not in whether or not He exists. His existence is our reality. Our faith is based on the belief that YHWH makes good on His Word, and will fulfill all the promises He has made. With wisdom we are able to demonstrate and prove His existence using arts such as science and history. But sanctify Messiah as Master in your hearts, always being ready to make a defense to everyone who asks you to give an account for the hope that is in you, yet with gentleness and reverence. With wisdom and an understanding of the universe we can help gather the remaining flock who have yet come to believe. Our fourth goal’s purpose to educate and gain wisdom is to take the advice given in 1 Peter 3:15, and help convert non believing hearts to their Creator. What man among you, if he has a hundred sheep and has lost one of them, does not leave the ninety-nine in the open pasture and go after the one which is lost until he finds it? When he has found it, he lays it on his shoulders, rejoicing. I tell you that in the same way, there will be more joy in heaven over one sinner who repents than over ninety-nine righteous persons who need no repentance. Or what woman, if she has ten silver coins and loses one coin, does not light a lamp and sweep the house and search carefully until she finds it? In the same way, I tell you, there is joy in the presence of the angels of Elohim over one sinner who repents. To help gather in the lost sheep is to bring joy to Elohim our Father and to heaven. And He said, A man had two sons. The younger of them said to his father, ‘Father, give me the share of the estate that falls to me.’ So he divided his wealth between them. Now when he had spent everything, a severe famine occurred in that country, and he began to be impoverished. So he went and hired himself out to one of the citizens of that country, and he sent him into his fields to feed swine. And he would have gladly filled his stomach with the pods that the swine were eating, and no one was giving anything to him. But when he came to his senses, he said, ‘How many of my father’s hired men have more than enough bread, but I am dying here with hunger! So he got up and came to his father. But while he was still a long way off, his father saw him and felt compassion for him, and ran and embraced him and kissed him. for this son of mine was dead and has come to life again; he was lost and has been found.’ And they began to celebrate. Now his older son was in the field, and when he came and approached the house, he heard music and dancing. And he summoned one of the servants and began inquiring what these things could be. But he became angry and was not willing to go in; and his father came out and began pleading with him. And he said to him, ‘Son, you have always been with me, and all that is mine is yours. Everyone is familiar with the aggravating visits of Jehovah’s Witnesses. It’s come to be somewhat of a stereotypical joke… how to be rid of them or hide from them when they come knocking on the door in their polished apparel and stacks of pamphlets in hand. Perhaps it is a much better policy to attempt to witness truth to them instead of avoiding the visit, but many who attempted this have also known how difficult a task that can be. For all the well-known labels this fringe denomination has gathered to itself… few people outside of the Jehovah’s Witness faith, and perhaps even not a majority within it, have any really good idea what their religion is about or from where it came. For those who have been disillusioned with mainstream Christianity (and rightly so)… the teachings of JW can sound incredibly attractive and reasonable. In the recent years, because of the notable distrust many believers have developed toward Church-style Christianity, the doctrines of Jehovah’s Witnesses have made somewhat of a come back. With their negative stance towards allegiance to earthly government, a refusal to participate in Christianized pagan holidays, and their disdain for involvement in military affairs… this religion can seem to be the answer to all things that are wrong with both mainstream Christian doctrine and a corrupt government. For this reason, it’s good to be armed with some basic understanding of the deeper roots of this denomination so that we are never tempted to confusion when presented with it by one of those door to door visits. Jehovah’s Witnesses have their beginning in the “Bible Student movement” founded by Charles Taze Russell in the late 1800’s, the literature of which was published through Zion’s Watch Tower Tract Society. The movement was set in motion by Russell’s insistence that the Christianity of the day was fundamentally corrupt and restoration of a more true-to-scripture faith was in order. None of these publicly given reasons were untrue, or without merit on their own, yet for all the insistence on a truer Christian doctrine, those which came out of Russel’s movement, as well as the Jehovah’s Witnesses after his death, are unscriptural to the point of having a translated version of the scriptures which exist for the sole purpose of supporting them. The doctrines of the sect in this day are set down by a governing body which has an authority that is put on a near-equal level with the scriptures themselves… a practice which is extremely reminiscent of Catholicism, which elevates papal decisions and church tradition above the letter of scripture. 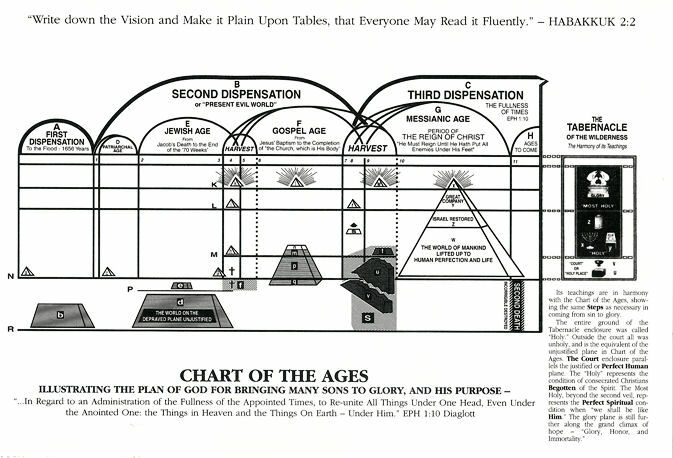 The Watch Tower society maintains that all doctrinal change is the result of clearer revelation of scripture… revelation which they are open to receiving, by their own admission, through angels as well as Elohim Himself. Lay people of the faith are not permitted to question or dispute the “revelations” given to the governing body, and they are routinely discouraged from independent research or study of scripture which might lead to questioning the doctrine. and with Abaddon or Apollyon, the destroyer “angel of the bottomless pit” mentioned in Revelation. There’s scarcely any need, I dare say, to point out the unbelievable level of blasphemy in the later comparison. It is, in fact, a degree of blasphemy which is dangerously bordering on, if not completely immersed in, the unpardonable sin. It is also a connection which finds itself a well established precedent in Luciferian belief systems where Messiah is purposely confused with Lucifer. It is less surprising that we would find a hint of Luciferian doctrine in the teachings of the JW when it is discovered that the organization itself has received much funding and support from the Rothschilds, a leading Luciferian globalist family, through the foundation known as “B’nai B’rith”, a group disguised as a charitable Jewish fraternity. It is, in reality, no more than a sect of Freemason-flavored Illuminism dressed up as a Jewsih society. 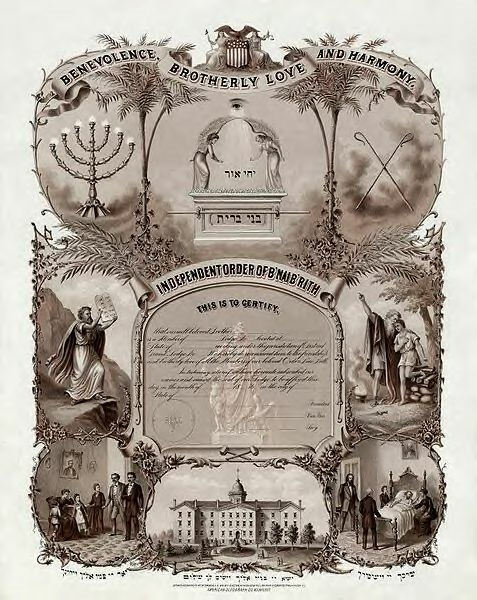 Note the all-seeing masonic “eye of Ra”, phoenix depiction, and multitudes of other occult symbolism on B’nai B’rith certificate above. “It is generally believed that the curse which Noah pronounced upon Canaan was the origin of the black race. Certain it is that when Noah said, “Cursed be Canaan, a servant of servants shall he be unto his brethren,” he pictured the future of the Colored race. They have been and are a race of servants, but now in the dawn of the twentieth century, we are all coming to see this matter of service in its true light and to find that the only real joy in life is in serving others; not bossing them. The only version of scripture which Jehovah’s Witnesses use is known as the “New World Translation”. From the start, it’s hard to ignore the innuendo of such a name. The “New World”, and everything which bears a title referring to it, has been single-mindedly established for the long term goal of ultimate globalist rule. Fitting then, if this version of the scriptures should reflect that same agenda. The New World Translation was published in 1961 by the Watch Tower society by way of an anonymous committee of translators.Nothing is known about who this group was comprised of other than they were reportedly of multinational origins. The members refused for their names and identities to be made public, insisting that the reason was to avoid being credited with the translation, since that credit belonged to “Jehovah” alone. On the contrary side, neither can anyone verify the honesty, integrity or expertise of anyone who worked on this translation and it is fair to say that while they might go uncredited with the results, they also go uncriticized. 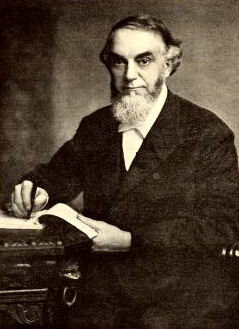 Charles Taze Russell, the founder of the Bible Student movement from where JW derive is a person who is highly protected in mainstream research sources from too much scrutiny. If one is to do a cursory, surface level search of this man’s history it is likely to show nothing which is not completely benign and all attestations to the contrary are quickly buried. He is simply noted as a “Restoration” minister from PA. It is worth noting that Russell was quite eclectic in his spiritual tastes as a young man and immersed himself in a number of eastern religious systems like Hinduism, Buddhism and Taoism. This isn’t surprising since the form of “Christianity” which Russel eventually founded has a distinct connectedness with Rosicrucianism, a Christianized Occult belief system which grew out of Eastern and Mideastern philosophy. Russel apparently had no qualms about ignoring the warnings of date setting which are mentioned in the gospels regarding the return of Messiah. After a predicted date of return and rapture was set and met with failure, he decided that Messiah had indeed returned in 1874, but did so invisibly, and had commenced ruling from the heavens since then. He further predicted that after a period which he called the “Gentile Times”, Messiah would come visibly and rule on Earth in 1914 – interestingly coinciding with the start of WW I.
Charles Russell was an outspoken Zionist in the Rothschild, political tradition. The in-gathering of Jews into Palestine was a central component of his beliefs and the teachings which he zealously spread at the same time as the Rothschilds were formulating the resettlement. It was Russell’s message to the Jews that they need not bother with conversion to Christianity, being already chosen by Jehovah, they need only resettle in their land and receive their blessing. Without a doubt, this Zionist movement was one of the greatest disservices to Jewish people that ever came out of anything calling itself “Christian”. You will find any mention of Russell being affiliated with Freemasonry to be hotly denied by JW and the Watch Tower society, and even outright denials of Freemasons that he ever was one of them, but records still exist (at least for now) which name him as being a member of a Templar Mason, York Rite lodge in Allegheny Pennsylvania. He was known for utilizing the masonic pyramid in his publications as well as the “winged disc” of famed, ancient occult symbolism. 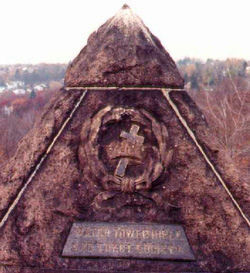 His own grave site is adorned with a large masonic stone pyramid monument. He made a public statement on his affiliations with Masons, denying that he had any… sort of. – Special 1913 Convention Report of the Internal Bible Students, “The Temple of Gods” pages 120-127. Anyone who knows the fundamentals of the use of secret handshakes and hand signs by the Masons, understand that its a rather complex, subtle system, not even always visible, as in the case of handshakes, but only felt by where and how pressure is placed on the receiving hand. Nothing of the sort would “come naturally” to anyone never made aware of how to return them. It should certainly be noted that the surname of Pastor Russell is not an unfamiliar one in the world of globalists, Illuminsits and Satanists. One of a number of families who’s surnames crop up again and again throughout history attached to secret societies, global influence and royalty… Russell’s family belongs to one of the so-called “elite” branches. The family name itself gave homage to the notion of the “red line”… the red serpent or rose line which is traditionally understood to be a reference to the serpent or dragon nephil bloodline. Charles Russell’s uncle, William Huntington Russell, is in fact, the co-founder of the infamous Yale society known as “Skull and Bones”. The original founder and trustee of Yale college was also a Russell. The peculiar occult interests of Russell were not entirely obscured from his followers and he recommended some reading which is a view into his questionable philosophies. A book entitled “Angels and Women”, which he supervised the editing of, was dictated to a spiritual medium by a fallen angel. He insisted that the contents were still of benefit to others because there were biblical truths contained in it, in spite of the fact the source of the material was an evil entity. Russell’s successor, Joseph Franklin Rutherford, only pushed the boundaries of acceptable doctrine further, revising many of those left by his predecessor. In spite of Russell’s strong Zionist persuasion, Rutherford eventually veered from that so far as to become pointedly anti-Semitic. He began the publication “Golden Age Magazine”… the name of which will throw up a red flag for anyone familiar with occult lingo. The name derives directly out of the Crowley styled Thelemic philosophy “Secret Teachings of the Golden Dawn”. The term “Golden Dawn” itself referring to the arrival of a New World Order. Clayton J. Woodworth, editor of The Golden Age, writing a commentary on Revelation for the publication called The Finished Mystery, claimed to have been the victim of demonic influence during the process. Rutherford continued Russell’s disturbing reliance upon spiritual mediums and demonic messages to give “good” information, claiming that “honest demons” were helping humanity come closer to the “secret of life”. 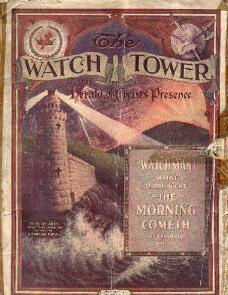 The name of the Watch Tower Society itself is not original to Jehovah’s Witnesses. The term is well known in Hermetic occult practices or so-called “Enochian” magic as a station of one of four spirit guardians… namely Watchers, over one of the four cardinal directions. These “Watchtowers” are invoked during ritual magic and coincide to certain stars; Fomalhaut, Aldebaran, Regulus and Antares. The connectedness that the Jehovah’s Witness faith, its founder and its history have to occult practices, Illuminism, globalist goals and a New World Order agenda, should not be ignored. For those who are already part of this faith, it should surely be questioned as to why questioning itself, or researching for ones self, is so very discouraged. That such a stance shares a parallel with the general long and convoluted trend towards a “Brave New World” should be enough to cause concern. For those who might be persuaded to JW beliefs… now you have some things to think on. I’m accustomed to discussing the strange and incredible, the weird and the wonderful… the lesser spoken of topics of the bible. Basic subject matters, like forgiveness and its place in the life of believers, have been well covered by multitudes of Christians and are fairly self explanatory in the plain text of scripture. In spite of that… I’ve come to realize that the basic things aren’t always so… basic. As much as forgiveness is one of the central themes of our faith, it has, like many other biblical subject matters, suffered from a great deal of misunderstanding. No believer is ever likely to have adverse feelings about their own sins being forgiven by YHWH and their fellow believers. When we are on the receiving end of mercy… it’s rarely difficult to accept. Where it becomes fraught with difficult emotion is when we must do the forgiving. In spite of the clarity of scripture on the subject, who has not found themselves trying to weasel around the command to forgive others when the offense done to us seems so overwhelmingly wrong and hurtful… especially if the offender shows no remorse? The reactionary internal resistance to the idea of forgiving a great wrong is so overpowering, that at once it can concoct a long list of justifications for refusal to do so. The most common counteraction to forgiving another is the sheer weight of the wrong that was done. Some wrongs that are done to us really are incredibly vile… others just feel that way. The emotional response between the two are not really very different… whether we have really suffered a major blow or the blow is simply perceived that way in relativity to a person’s own experiences, either can result in such a depth of hurt and resentment that forgiveness seems impossible. We can all attest to the fact that it’s much easier to forgive a wrong when the wrongdoer is willing to apologize and admit that they are guilty of an offense. Many times that doesn’t happen… sometimes it does and yet it seems insincere. Whether right or wrong, if we perceive our offender to be without remorse for their actions it can make us feel justified in not forgiving where forgiveness has not been requested, or not been requested to our satisfaction. Sometimes we have those people in our lives that we try very hard to get along with… forgive them their faults on numerous occasions and yet they continue to disappoint us. There comes a point when we want to ask ourselves how long we’re willing to be a “door mat”. Patience becomes exhausted and we simply want to give up on the individual. Unless an individual is suffering from some manner of genuine cognitive disorder, forgetting is not realistically an option. What we really mean when we contrive this justification is that we really don’t want to forgive even though we’re well aware of our duty to do so. This usually comes at a point of internal conflict between the conviction to do what is right and the emotional resistance against it. As mentioned earlier… the Bible is as clear as crystal on the matter of forgiveness… it is perhaps one of those rare biblical topics that are so basically defined in a point-blank way that little if any doctrinal debate has ever taken hold of it. Even though there’s not much getting around the point, nor any wiggle room for interpretation, anyone who has had to do some forgiving they don’t want to do knows how quickly the recall of this subject can be suddenly omitted from one’s thoughts. The power of the verses dealing with our forgiveness of others is such that it backs us right up against the wall of conviction immediately. There’s no room to turn around and run, no quarter given to fight back… and it’s incredibly uncomfortable to try. It’s also the very remedy we need when we start justifying a non forgiving attitude. We require that stinging discomfort of conscience in the face of a truth we don’t like. Scripture has an answer to every justification we can come up with. When the struggle is with the magnitude of an offense… we need only to compare what has been done to ourselves to what we have each been responsible for that resulted in the crucifixion of our Savior. Have any of us ever hurt like He did on the cross? Yet we are freely offered His forgiveness. And if we deal with a repeat offender…. Since there is no question that believers need to forgive… no matter what… the only question left is “How?”. The command to forgive is a command to make a decision and act on it… it is not a command to tame our own wild emotions until we feel only good things towards our offenders. The forgiveness that we enjoy from our Creator is not defined by His abstract warm feelings towards us… we would never benefit from that in a practical way. We benefit through His act of redeeming us according to that forgiveness, and through the blessings He imparts on us as forgiven individuals. In the same manner our good feelings towards our offenders… even if they are possible… are useless to them in any practical way. Our act of forgiveness must extend the same open hand of generosity that we receive from our Creator. We have a duty to treat them with the same respect we want to be treated with, the same charity we want to receive, and the same concern for their well being that we would like extended to us. It may seem strange or insincere to take those benevolent actions without “feeling it”… but in their proper place, feelings will conform to fit our obedience to YHWH… if the act of obedience is never carried out, our feelings will surely never prompt us to it. It is often argued by Christians that the act of forgiveness benefits the one forgiving most by way of releasing anger, resentment and hostility… an “unburdening” effect and that is presented as the motivation for believers to forgive. If you’ve ever tried to live by that philosophy, though, you’ll find it very disappointing. You will not magically shed your emotions of anger and resentment as you one day make some internal statement to yourself like “I forgive this person.”. Nor is an act of forgiveness ever done genuinely which is done simply to benefit self. 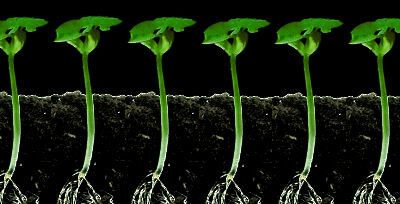 Our forgiveness obtained through Messiah benefits Us… and our forgiveness of others should benefit Them. We benefit in forgiving by doing what is obedient to YHWH, which is always beneficial, not because we have relieved ourselves of stressful emotion. Once we obey… then YHWH is able to begin to heal those stressful emotions so long as we continue in obedience. Should it all go back to the way it was? One of the trickiest issues in forgiveness is knowing whether or not to reinstate an offender to their previous position in one’s life. If an act of forgiving involves demonstrated good will toward the offender, does that automatically mean they should be offered the same trust they once might have freely been given? Forgiveness does not equate with trust, and the decision to return someone who has wronged us to a former trusted position can depend greatly on what position they held in our lives, and what the manner of their wrong was. A parent should naturally forgive their child of disobedience when they sneak out of the house and take the car for a spin… but they should not automatically trust that child to be left with the car keys after that action. An unfaithful spouse should be forgiven of their crimes and yet that does not mean the faithful spouse is obligated to continue in a marriage that has been compromised. An employee who gets drunk on the job should be forgiven of their bad decision by their boss… and yet that employer is within his rights to not trust his worker to continue in his employment. What should be considered in a decision to return someone to a former position of trust is a consideration of what is practical versus what is purely emotional (e.g. Am I denying that trust out of spite, or because there is a serious matter at stake if the person is not trustworthy in the future? )… as well as consideration of a repentant attitude… a sincerely repentant person is less likely to repeat their offense if reinstated to a position of trust. We’ve all been given a second chance… for that matter a third and fourth… etc. When one who has wronged us genuinely seeks a second chance to prove their trustworthiness to us, we should all consider how many chances we have been afforded by our heavenly Father. We’ve all been grateful for those second chances, and so in an effort to do for others what we would want for ourselves, those requests should be honored if at all possible in a practical sense. This might take time and be extended to the individual one small step of trust at a time… but trust can be rebuilt.